An EU project has undertaken extensive feeding trials to further inform the debate on the safety of mandatory GM animal feeding studies in advance of an expected 2016 EU re-evaluation. The EU-funded GMO Risk Assessment and Communication of Evidence (GRACE) project was driven by the need to reconsider the value of rat feeding trials for the safety assessment of genetically modified (GM) plants. The project also aimed to address the continued controversial debate on the safety of GM plants. To achieve this, it was organised around two primary work streams. GRACE improved the interpretation of 90-day rat feeding trials, clarifying their added value and exploring alternative approaches to reduce or substitute animal trials with regards to GM plants. An additional one-year feeding trial was also conducted. To facilitate this, the project team utilised MON810, a genetically modified maize that has been approved for cultivation across the world, including by the EU. When presenting their final results for the project, the team reported that they did not find any indication that a routine performance of 90-day feeding studies with whole food / feed would provide additional information on the safety of MON810 when compared to the compositional comparison of the GM variety. Moreover, the 90-day feeding trials performed did not reveal any scientific trigger for an extension of the feeding period. Data gathered in the course of an additional one-year feeding trial is in accordance with the conclusions made in the 90-day trials, in essence that feeding the rats MON810 did not lead to any adverse effects. Additionally, the data collected by GRACE showed that non-targeted feeding studies could lead to randomlygenerated significant differences between animals fed with the GM test material and animals fed with a controlled diet. Such results are not informative for risk assessment. As such, GRACE data supports the scientific reasoning that feeding trials with whole food / feed may provide an added scientific value for the risk assessment of GM crops, but only in case a trigger is available from the initial molecular, compositional, phenotypic and / or agronomic analyses. Thus, feeding trials might be considered, provided that the study design can be tailored to the posed safety concern. Due to these limitations of rat feeding trials with GM whole food / feed, the project argues a mandatory performance in the course of GMO risk assessment cannot be justified in the light of the European goal to replace and reduce animal tests. Regarding the project's second objective to address the overall debate on the safety of GM plants, researchers also established new and more comprehensive methods for systematically collecting and assessing existing scientific evidence on environmental, health and socio-economic risks and benefits for GM plants. 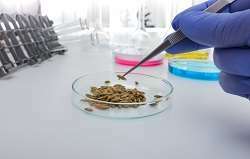 When testing these methods for the purpose of GMO risk research and assessment, it was confirmed that conclusions reached in previous assessments on insect resistant GM crops are still valid, with no effects documented on non-target organism populations, such as beetles and butterflies or to soil microorganisms, when compared to natural maize. These final results from the project are now expected to provide valuable input into ongoing European debates regarding the safety and viability of GM plants and other organisms, particularly as the need for mandatory animal feeding studies in GMO risk assessment is due to be re-evaluated in 2016. EU government must be informed by EU science surely? Why this incompetence? GMO's pose no risk whatsoever anywhere to anything. It is a silly idea.